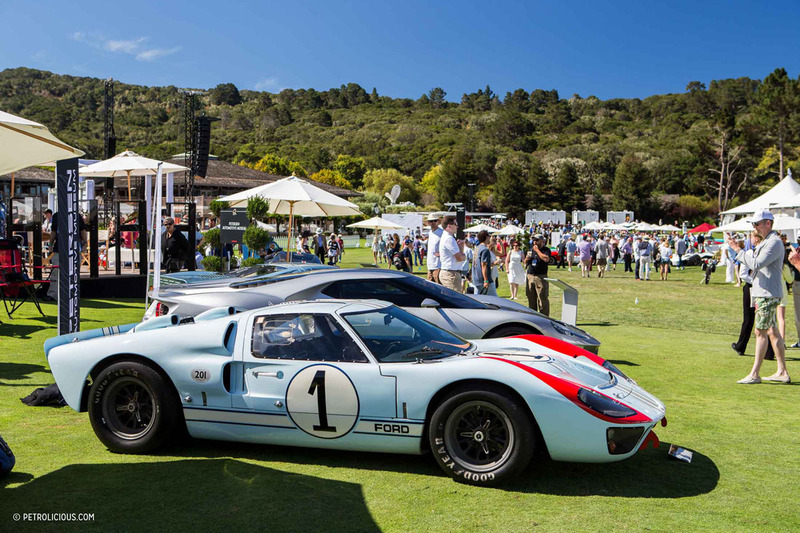 We attended The Quail, A Motorsports Gathering during this year’s Monterey car week, but in keeping with the event’s motorsport heritage, we went not looking for concours winners but race winners. As we arrived, we were greeted by a MazdaSpeed 757 entered in the long tail Le Mans class, still wearing the livery and number 203 from its 1988 24 Hours of Le Mans GTP Class win. 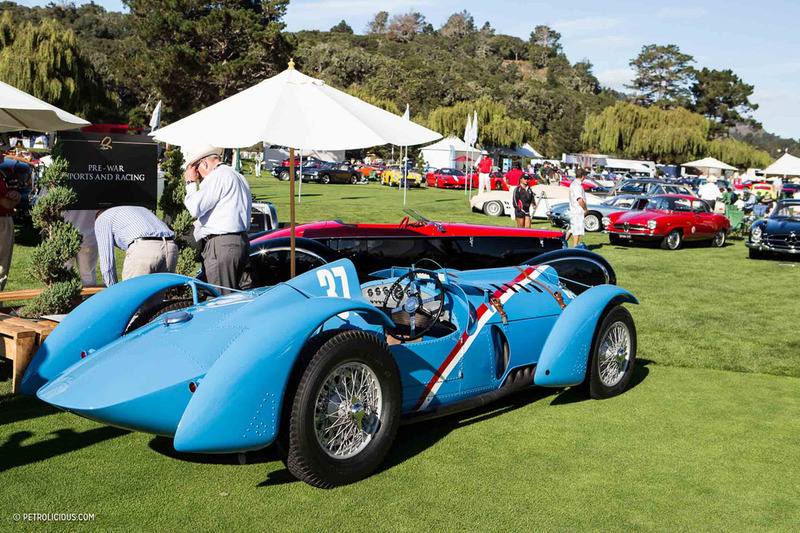 Better: a great spectacle was provided for the crowd when its barking three rotor 2.0-litre engine was fired up. 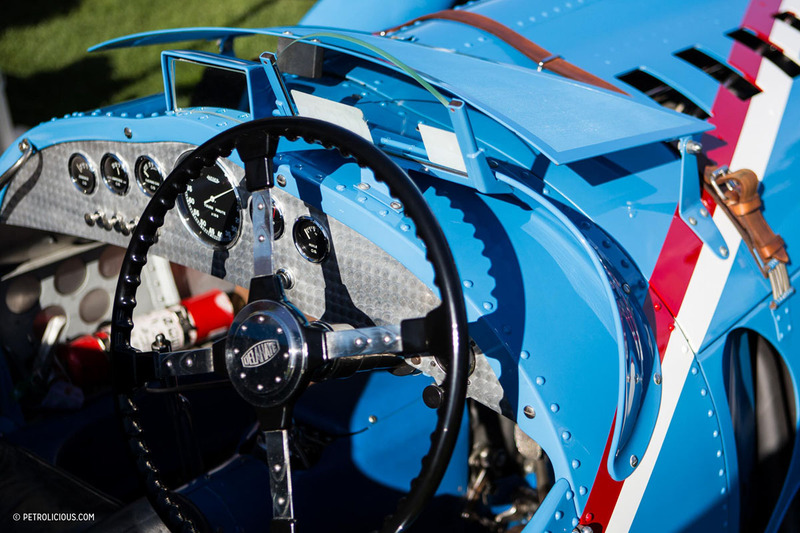 Moving down the field we found the beautiful, blue Delahaye Type 145. In 1937, the French Government and the Automobile Club of France offered a reward of one million francs for any French car that could better the pace set around Montlhery Circuit by foreign teams. The race to collect the prize was on, but under hot completion from Bugatti, this exact Delahaye won, setting a speed of 146.6 km/h (91 mph) to become forever known as “The Million-Franc Delahaye”. A run at Mille Miglia collected a fourth, and its pre-war career was rounded out with a win at the 1938 Grand Prix de Pau, upsetting the much higher-powered Mercedes Silver Arrows. 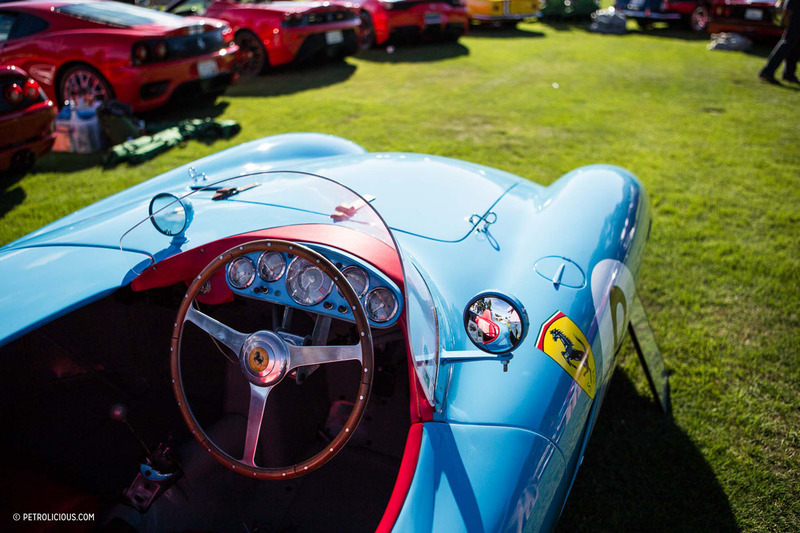 Surrounded by exquisite creations from Maranello sat a class victor from the first Venezuelian Grand Prix, held in 1955: a Ferrari 500 Mondial Series II. Class wins at Nassau and Sebring followed during late 1955 and 1956. 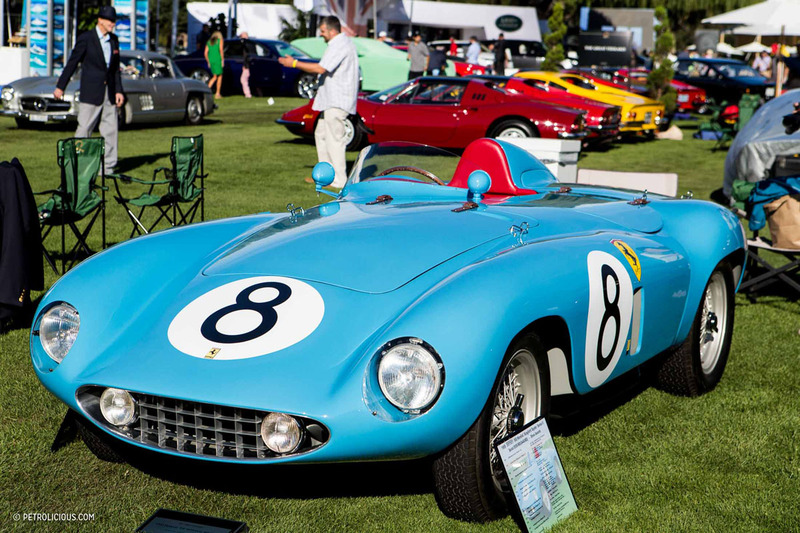 Since it retired from racing, the car has won 29 show trophies, including a class win at the Pebble Beach Concours d’Elegance—and has been under single ownership since 1960. 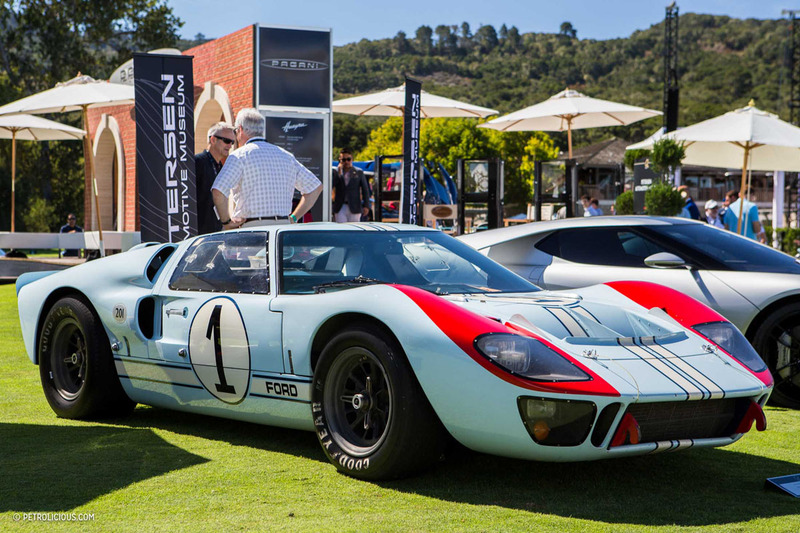 Tucked away in a corner, we noticed this Ford GT40 Mark II, equipped with a 427 Cubic inch NASCAR engine that won the 1966 24 Hours of Daytona. 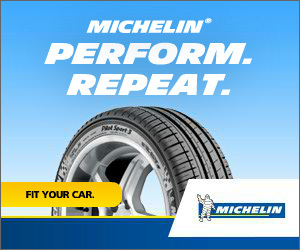 Shortly after, it narrowly missed out on winning the 1966 24 Hours of Le Mans under very controversial circumstances. 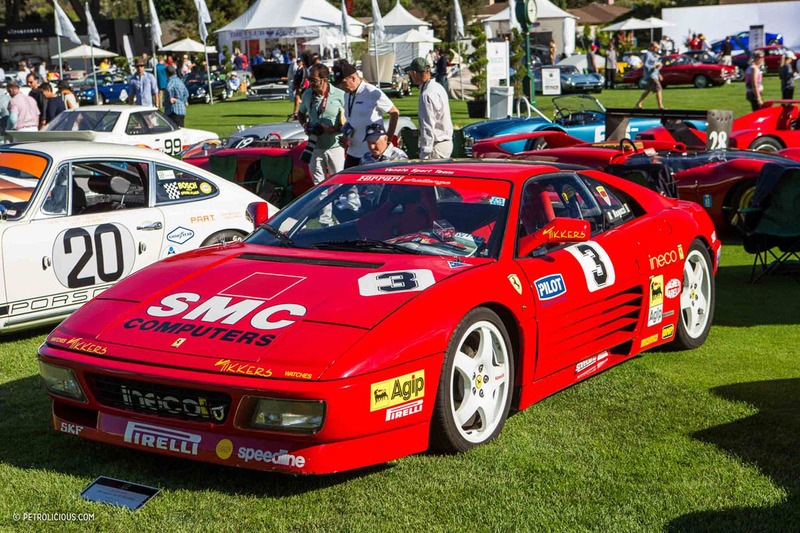 The post-war racing section featured this Ferrari 348 TB, which was the overall winner of the inaugural Ferrari Challenge Championship back in 1993. The series’ initial success spawned four separate regional championships which are still held to this day, albeit with newer and faster Ferraris than this one. 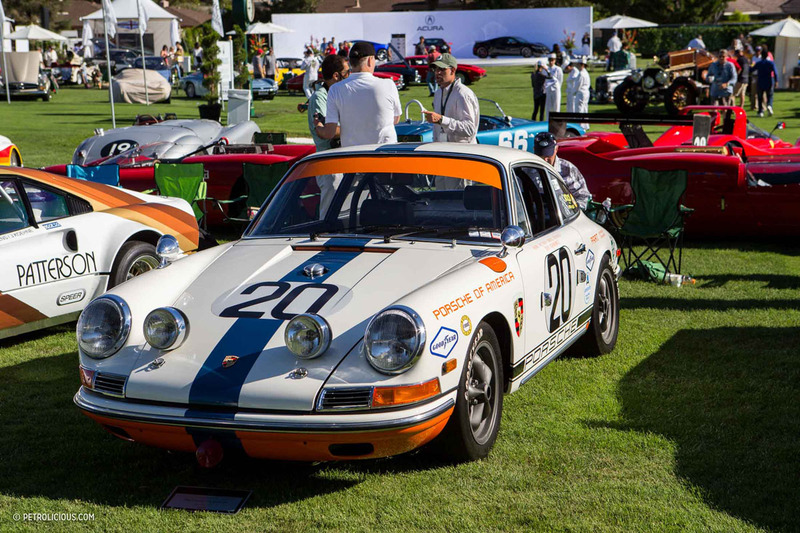 This amazing 1968 Porsche 911 L finished first in class and fourth outright at the 1969 24 Hours of Daytona, it also achieved a class win at Sebring in 1971. 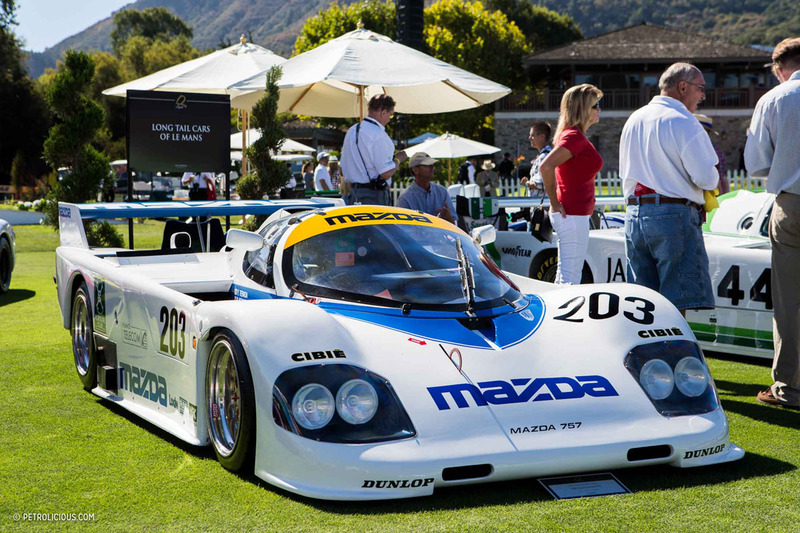 Following Sebring ’71, the car was abandoned until the early 1990s, when it did was used for vintage racing. Acquired by the current owner in 2011, the car was restored to the 1969 Daytona condition, which we think is fantastic to see. Also perfectly restored, but to how it ran at Brands Hatch, the Ferrari 412 P of the post-war racing class was an impressive sight. This car picked up its first victory in the 1968 200 Mile Norisring in 1968. Wins at Hockenheim and the Swedish GP followed during the middle of 1968. 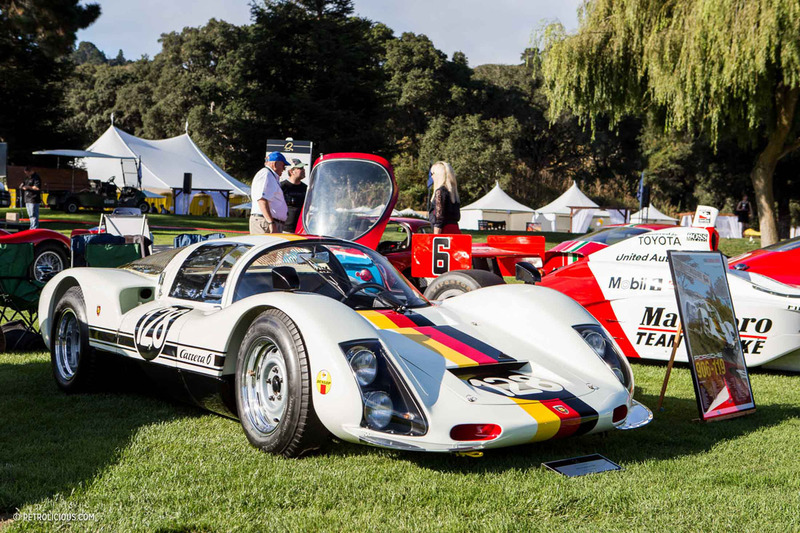 Near the 412, we spotted a 1967 Porsche 906 E. This low, streamlined machine took seven victories during its stint in racing during the late ’60s and early ’70s. The victories include a class win at Targa Florio (and 7th outright), and overall wins at Mugello, Zolder, and a numerous other circuits. 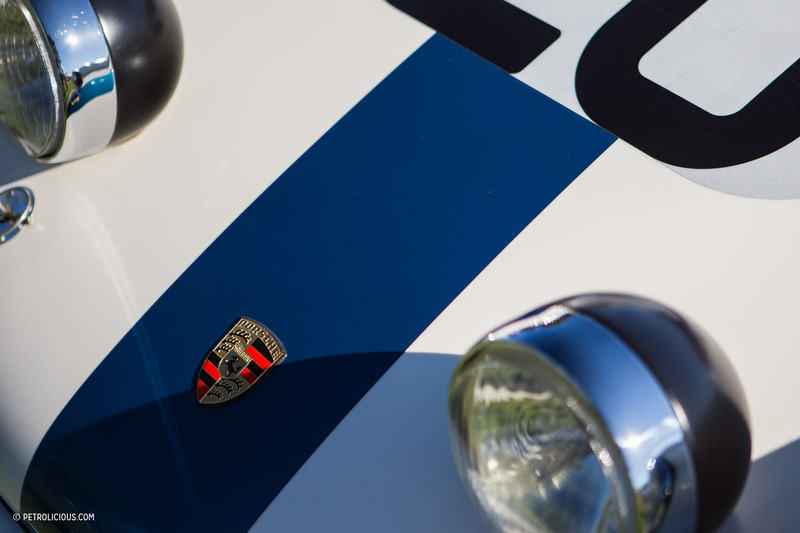 Today, it wears the livery from its Targa Florio outing in 1968. 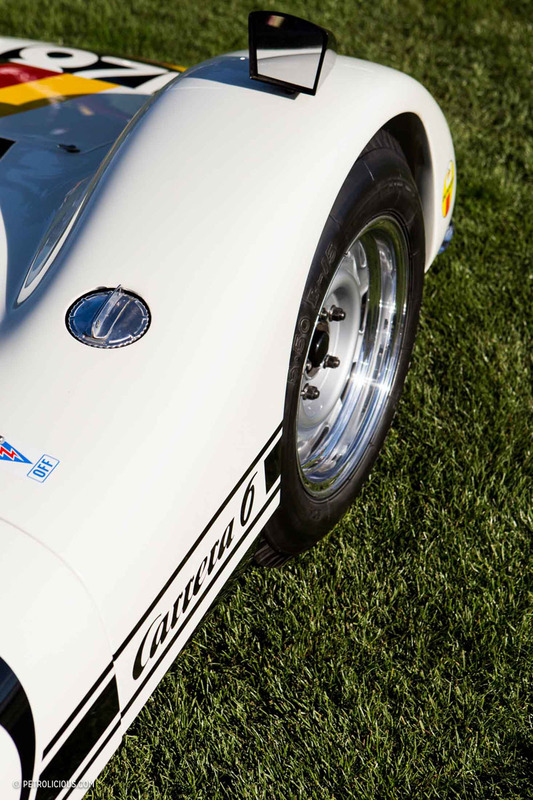 Wearing number white and blue paint, plus number 60, the Cooper T-61M Buick looked resplendent in the sun against the green grass. 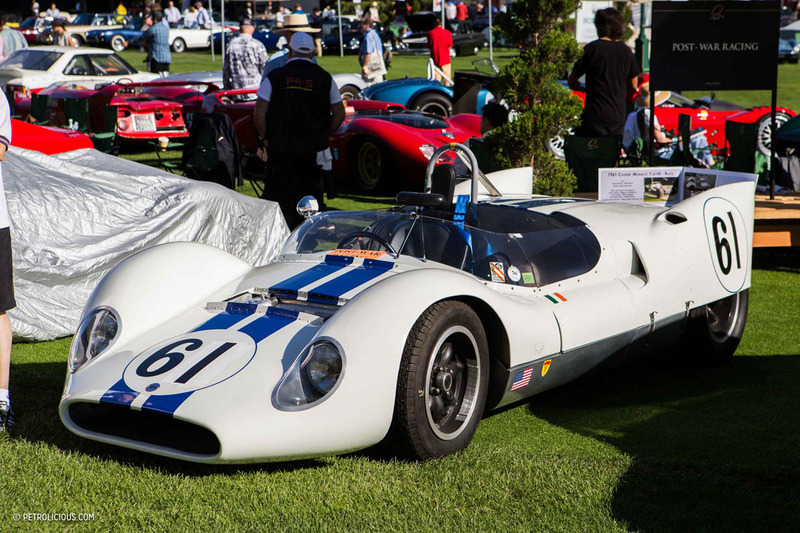 As the winner of the Watkins Glen Grand Prix and Bridgehampton SCCA Nationals in ’62 and the Bridgehampton 500 in 1963, this Cooper easily qualified for our race winners group. 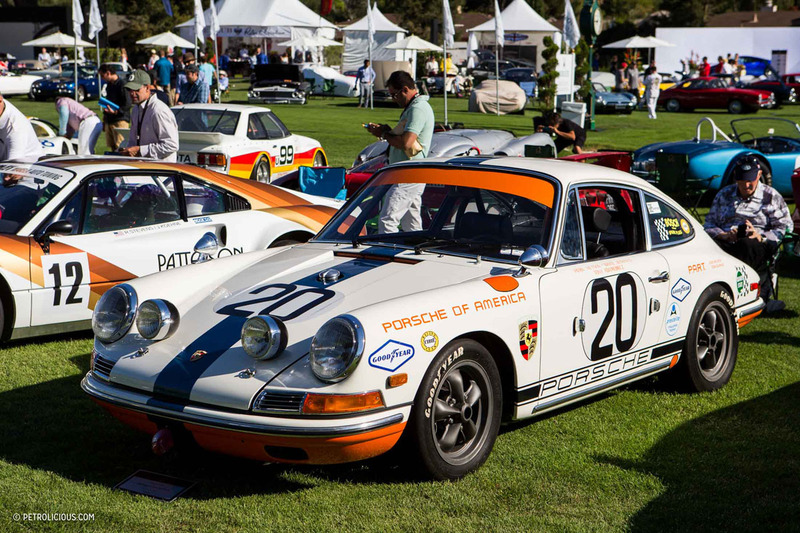 The Quail also attracted a large number of non-race winning but equally spectacular vehicles. With cars like this on show, a pleasant, not-too-crowded atmosphere, and absolutely amazing food and drinks to must for any car enthusiast.